What Can Scientists Bring To Congress? This year’s midterm elections have seen an upswing in the number of scientists running for office. There are approximately 60 candidates with STEM backgrounds in the races for federal offices, and 200 for state positions, according to 314 Action, an advocacy organization that helps scientists run for office. But why would a scientist want to leave the lab for the Hill? Phoenix and Miller chat with Ira about what unique perspective scientists can bring to the political process. Learn more about them below. Phoenix has a master’s degree in geology, and got hooked on volcanoes when she worked as a volunteer researcher at the Hawaiian Volcano Observatory. “Instead of just thinking they’re cool, I actually got an experience to go out and work on Mauna Loa and Kilauea and use helicopters and normal hiking and submersibles to study volcanoes, so it was pretty awesome,” she says. Why is it important for scientists to run for office? Phoenix: “I think the common misconception is that science isn’t political. But actually, science by definition is political because the biggest funder of scientific research in our country is the government. And when a government makes funding decisions, they are stating politically what their views on science are. “Scientists can and did engage politically throughout our country’s history, and especially if you look at people like Ben Franklin and Thomas Jefferson, these are scientists and inventors. But then when Robert Oppenheimer spoke out about the dangers of nuclear technology, he was persecuted for that. Congress stripped him of his security clearance and he wasn’t able to do his work. I think that started our modern conception of scientists not being engaged politically because I think we were all terrified and wanting to keep our grant funding. Now, it’s absolutely essential that we have scientists engaged in the public arena, whether that’s shaping public policy or running for elected office, or just speaking out and communicating the value of our work. Miller: “[People with STEM backgrounds] are taught to think a certain way—very analytically with evidence-based data. And this is how our decision-making process unfolds. After we look at all the data, we weigh it in, and say ‘Ok, this may be the best logical way to move forward.’ I think that’s a unique perspective that we bring to the table. 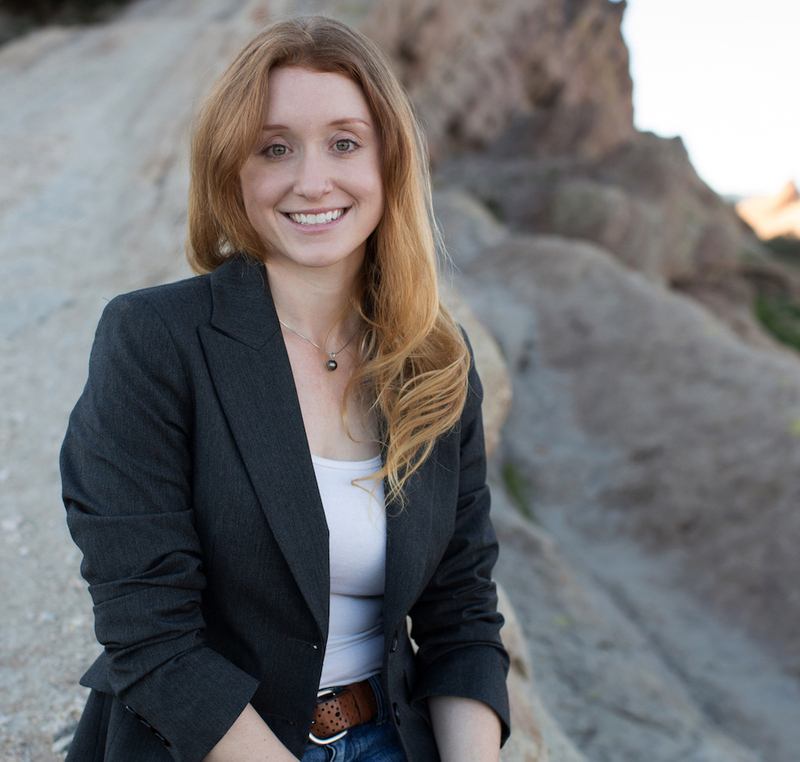 Jess Phoenix is a volcanologist and a Congressional candidate for California District 25. She’s based in Acton, California. Aruna Miller is a Maryland State Delegate in District 15, based in Montgomery County, Maryland. IRA FLATOW: This is Science Friday, I’m Ira Flatow. This year in politics– well, how can you say differently? It’s been unprecedented. It’s hard to predict what might happen each week– well, each moment. And the midterm elections have shown us something that we haven’t seen before– a record number of scientists have entered races around the country at all different levels. In some congressional primaries, it was STEM versus STEM as a Texas engineer beat a mathematician. So why have scientists finally decided to run with such a paucity of politicians having a science background, what could a scientific perspective bring to government? I want to introduce my first guest. 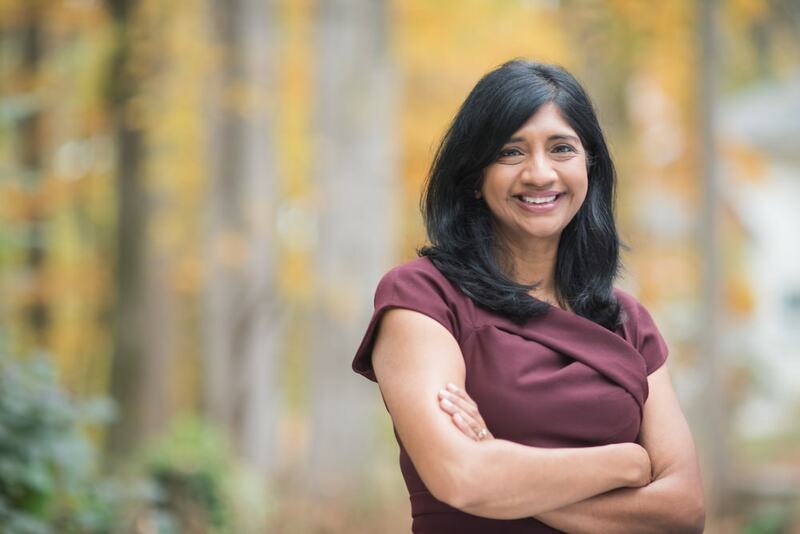 Aruna Miller is a civil engineer and currently is a Maryland State delegate for district 15, that covers Montgomery County, Maryland. And she’s running for Maryland’s sixth congressional district seat, that’s in Congress. Welcome to Science Friday. ARUNA MILLER: Thank you very much. IRA FLATOW: So before you were a state delegate, you worked as a civil engineer for the Department of Transportation. What made you decide to go into politics? ARUNA MILLER: Well, there’s a lot of reasons why I want to give back to my country and that’s the reason why I decided to get into politics. Because policy making has an impact on our life from the moment we wake up till the moment we close our eyes. IRA FLATOW: I also want to bring on Jess Phoenix who is a volcanologist , and she is currently a congressional candidate for California’s district 25. She’s based out of Acton, California. Welcome to Science Friday. JESS PHOENIX: Thanks for having me, Ira. It’s great to be here. IRA FLATOW: So when it comes to science, really, not all politicians will share your point of view. How would you communicate with a colleague who doesn’t share your view, Jess? What do you hope to bring to the table? JESS PHOENIX: Well, one strategy I’ve noticed that works really well– and I think I picked this up when I used to teach college at Cal State LA– is to ask questions. If somebody says they don’t believe something that you know to be you know scientifically a good solid thing, you can say, well, why do you believe that? And then you wait and then you listen, because you can’t enter a dialogue with someone unless you have an actual conversation, you have that opening. And if you come at something from a perspective of oh, you’re wrong, you’re wrong. Then you’re setting yourself up for failure because you’re already putting the other person into a hostile position. So I like to just ask questions, and I think that usually is a really good way to understand where somebody may be getting information that just isn’t up to the standard that you’d like it to be as a scientist. IRA FLATOW: Now, Aruna, you have some experience in politics being Maryland State delegate. Can you be successful as Jess is saying in talking to your colleagues? ARUNA MILLER: Absolutely, policy making has a lot to do with coalition building and reaching a consensus, much like what Jess is saying, and it starts with being a good listener. You’re going to have differences of opinion, no doubt about that. But at the end of the day, it’s about everybody working towards a common goal, which is to create policy that’s going to impact the greater good of our community. IRA FLATOW: My number– 844-724-8255. You can also tweet us @scifri. I want to ask you the question I asked Aruna, Jess, why did you– you study volcanoes, I’m sure you must be out in Hawaii doing some work, right? JESS PHOENIX: No, I’ve missed out. I’ve been running for Congress for the last 13 months, but I have before. IRA FLATOW: OK, what made you leave volcano, so to speak, and run for Congress. JESS PHOENIX: Well, the last five years, actually, I’ve been running a nonprofit called Blueprint Earth. It’s an interdisciplinary environmental science research and education organization. And so I deal a lot with students– college and university students and elementary students. And a lot of our students come from nontraditional backgrounds for the sciences. So we have 76% women participate, 54% people of color, and 60% of our students come from low income backgrounds. So when I saw just from observing how they would interact with each other and what I would hear them say about difficulties their families were facing or things that they were concerned about for their futures, say student loan debt or trying to find a job in the place where they grew up. Being able to go to a four year public university near their house wasn’t an option for a lot of them. So I thought, well, a lot of people are being impacted by policies and by the state of the world and there are things in there that are not based in evidence, they’re based on opinion or based on what lobbyists or pollsters told people to do. So I think that it was really just the urgency of seeing Scott Pruitt and Ryan Zinke, et cetera running things into the ground in some cases and kind of this rule by opinion and by money. And I thought we could do a lot better than that. And bringing evidence and policy make is something that we need more of and not just from scientists. IRA FLATOW: But scientists typically shy away from being politically active, don’t they? JESS PHOENIX: I think that’s been the case for the last 64 years since Robert Oppenheimer was persecuted for speaking out against about the dangers of nuclear technology. And then he was stripped of his security clearance. And I think that’s when scientists sort of said, oh, well we better shut up and do our work. And unfortunately, that’s not the case because science is inherently political. When a government makes its funding decisions, it is telling you what its political priorities are. So we really, really need to have a voice as a scientific community because no one is going to speak up for us, and we have to get better about communicating the value of our research and what we do to the public. IRA FLATOW: Aruna, would you agree? ARUNA MILLER: Absolutely, Ira. In fact, I should point out that three of our presidents have been engineers. We had George Washington, Herbert Hoover, as well as Jimmy Carter. So the very first president of our nation was really with a science background and engineering background. So we’re here, it’s just taken us a little bit longer to really dive into these fields at the federal level especially. But if you take a look at local politics, state delegates, councilman, you do see a lot of people with science and engineering background running for public office now which is very encouraging. IRA FLATOW: With so many people skeptical of politics and politicians, not trusting politicians, does being a scientist help with your public perception, Aruna? ARUNA MILLER: Absolutely, because, again, we come with evidence-based data. That’s how we make our decisions– logical, predictable, we work within certain confines of laws. And right there alone, I think the public has a certain element of trust with you. Now, policy making gets a bad reputation, the politics of it. But once you remove that aside, policy making has a significant impact on our lives. And again, much like engineering and science, we’re both working towards making lives better for the people that we either work with or we represent. IRA FLATOW: Let’s go to the phones, our number– 844-724-8255. Kara, in Northampton Pennsylvania, welcome to Science Friday. KARA: Hi, thank you for taking my question. I was just wondering, what makes you more qualified than our current politicians that run? IRA FLATOW: Jess, you want to take that first? JESS PHOENIX: Yes, sure, sure. So I don’t know if it’s a question of being “more” qualified, I think it’s being “differently” qualified– and in some cases, better qualified to address particular issues. But the way I see it is we have 80% of our current representatives in Congress are lawyers or businesspeople, and lawyers, in particular, are trained to argue for whoever is paying them. They can play devil’s advocate on a number of issues. That’s helpful in a court of law, but in political decision making, it doesn’t necessarily end up with people who are working for the best interests of their constituents, you know fact-based plans that are going to produce the best outcome for the community. And so I think that as scientists, we have the ability to not only weigh things in a more impartial manner than a lot of other fields because that’s part of our training. But we’re very methodical about it. And we also are really good at creative problem solving. Engineers are the same way as scientists– we take situations that arise in the real world that are often unexpected, and we figure out how to deal with them because otherwise we wouldn’t be able to do our jobs. ARUNA MILLER: And I would add to that also that I think our elected representatives should be reflective of their communities. So as I Jess said, when you have a majority of our elected officials that are over a certain professional background, I think we need to bring greater diversity to the policy table. And it’s not just scientists and engineers, it could be educators, it could be firemen. It could be people of a whole host of different backgrounds. I think we need to have that because that’s the best way in which we’re going to come up with the solutions to the problems that a nation of 320 million people are going to face as we move forward. IRA FLATOW: Let’s talk about some of those problems. Let’s talk about some of the issues. What are they what are the top one or two issues that are not being addressed or that you think scientists can better address if you get elected? Jess, maybe? Go to you first then Aruna. JESS PHOENIX: Yeah, Aruna, go ahead and take it. ARUNA MILLER: No, I was just going to say I’m sure Jess would agree with this– climate change, right? This is something that’s facing us globally, and this is happening right now. And our entire civilization that exists on how we’re going to address this urgent issue. And I think that is one of the top things that we are seeing absent in the Trump administration. That it is not being handled in the way that we would like to see it handled. That science is being attacked somewhat here, I’ve never seen this before, at least, in my lifetime. JESS PHOENIX: And I would add to what Aruna just said too, because it’s a great– it’s basically what I say to people, but then we have an example for this in our past. We have a big picture problem that is partially man-made and partially natural, so that’s with climate change. And then we had the same issue when the Dust Bowl happened back in the 30s. And the government actually worked closely with scientists and local communities to create strategies to solve the problem. And that’s where we are, we need to have kind of a hand-in-hand approach with government, scientists, and the public to solve this problem because climate change is the greatest national security threat that our country is going to face over the next 50 years because it’s a threat multiplier. So it’s something that we need to deal with because you may not think it affects you on a day to day basis as you go about your life, but it does actually amplify the effects of terrorism and terror groups, of food insecurity, and of migration issues. So these things will become matters that affect all of us, even if you don’t feel it today. IRA FLATOW: Yes, Aruna, ahead. ARUNA MILLER: No, I was just going to add to that, Ira. Also I think we have to recognize in the 21st century, we’re in the technology era. So we’re going to have to deal with the issues related to artificial intelligence. We’re going to have to deal with autonomous vehicles. The way we communicate with one another is through technology. So these are all fields that are going to affect all of us, where I think people of science and technology background could really play a critical role. IRA FLATOW: I’m Ira Flatow. This is Science Friday from WNYC Studios. Talking with two scientists running for office– Jess Phoenix, who’s running for a congressional seat in California’s 25th district, and Aruna Miller, who is also running for Maryland’s sixth congressional seat. Our number– 844-724-8255. Jess, you’re running a very grassroots campaign. You said, we’re in a new era and politics as usual won’t hold. What do you mean by that? What do you see changing? JESS PHOENIX: People are tired of candidates who are all fluff and no substance I think. And we saw that with the election of Donald Trump. We want candidates who are different. And not that Hillary didn’t have substance, she had a lot of substance. Don’t get me wrong. But it’s just that we don’t want talking heads, we don’t want people who are entrenched in the political system. We want people who are going to be genuine and genuinely committed to what they believe in and who will stand strong for whatever it is that the community needs them to be a voice for. And I don’t think that the days of big money and basically buying elections are going to hold sway forever. I mean, Citizens United really opened the floodgates for that, but I think it’s something that we can change. Because when people start to unpack why decisions are being made and at the end of every line of inquiry you have money and you have lobbyists. I think that really shows that– I mean, people get very disenchanted with the way that politics is being done. And I feel that, I see it all the time on the campaign trail. And when you’re a scientist and you get new data, when the data says, hey, people don’t like the old way or the current way, we need to try something new. So that’s what I’ve been doing. IRA FLATOW: Let me get a phone call in from Chicago. Cookie in Chicago, welcome to Science Friday. COOKIE: Hi, Ira, glad to be on. I have a question for your science politician. Increasingly, religion is getting more and more influence in what’s going on in politics, and science and religion can be on opposite ends of things. And I’m just curious as scientists in politics, how do you deal with that? ARUNA MILLER: Well, I mean, I can tell you I personally try to separate my faith from anything that I do in policy making because again, that’s a personal issue. And it’s not something that’s subject to what I’m going to be doing that’s going to affect other people’s lives. So that’s the first thing. And absolutely, there are people that come with their faith and it serves really a lot of good in our community in the way they serve our community. And that’s a good thing. But I earnestly believe that we have to separate church from state. And that’s about all the time we have for talking about science and politics. Jess Phoenix is a volcanologist, currently a congressional candidate for California district 25. And Aruna Miller, civil engineer, she’s running for Maryland sixth congressional seat. Thank you both for joining us today. JESS PHOENIX: Thanks for having me. JESS PHOENIX: It’s great to be with you guys. IRA FLATOW: One last thing before we go– Apollo Astronaut Alan Bean died this week at the age of 86. He was the fourth human to walk on the moon. And in his later years, he switched his focus to art, painting pictures that tried to give the rest of us a glimpse of life in space, what it was like. Back in 2009, he shared with us his joy of lunar exploration. ALAN BEAN: Humans aren’t robots. And humans, when they go somewhere– whether it’s Mars or the moon or anywhere else– they do human things. Now, they say, OK, I want you to spend every minute doing useful work, and you spend a lot of it doing useful work. The most you possibly can. But then, all of a sudden, you– I can remember picking up rocks and throwing them just to see how far I could throw them because that’s what humans do. I remember a couple of times Pete looked at me and he says, quit Messing around, Alan, let’s get back to work. But you’re trying to do– 1, 2, 3, 4, but being a human you stop and you sing or you throw a rock or you– I don’t know. That’s what humans do. That’s why we’re different than robots. IRA FLATOW: Astronaut and Artist Alan Bean passed away at the age of 86. It’s just simple math, on a map, and on steroids. Can Science Survive In A More Politicized Age? The March for Science makes history as science and advocacy come together.